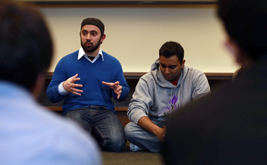 Uzma Kolsy was a spring 2009 intern and is the former Managing Editor at InFocus News, the largest newspaper in California serving the Muslim American community . 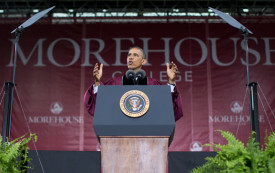 Will President Obama Address Free Speech at the University That Suppressed It? President Obama prepares to speak at UC-Irvine, where eleven student activists were suspended for interrupting a speech by the Israeli ambassador. 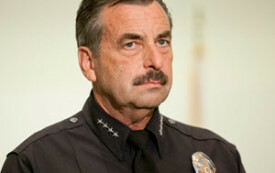 The LAPD is supposed to have cleaned up its act under the tenure of Police Chief Charlie Beck. But his record is rife with denials and whitewashes. Students showed resilience in the face of intimidation from school authorities and outside interest groups. My years in an MSA were spent packing lunches for the homeless, mentoring high school kids and learning about my faith with my best friends. More than a decade after Congress passed the PATRIOT Act, its varied implications are still unraveling.